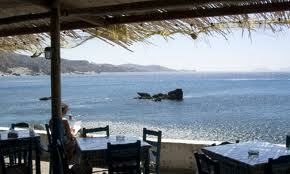 I found myself relaxing at a quiet taverna in Naples one evening while watching the sun set over the boundless sea. Musing, I noticed that my glass of Verdicchio dei Castelli began to create a sparkling prism effect on the white tablecloth. As the sun continued to set, the golden shafts of angled light became even more magnificent. Mesmerizing. Engaging. When did wine making begin in Italy? And where? Well, what I do know is that the Greeks, always admired by the Romans, began cultivating grapes in southern Italy well before the first century. They called Italy “Enotria,” the land of wine. Their wine techniques spread northward to central Italy, which were adopted by the clever Etruscans. In time, the Romans grew wealthy from conquests throughout the Mediterranean, creating markets to invest in vineyards. 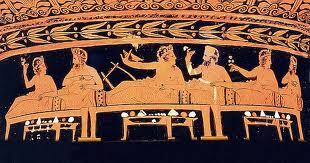 As a result, vine-growing became very advanced as the Romans knew which areas produced the best wine. Wine was exported in exchange for slaves to cultivate the large estate vineyards, which grew even larger. People were forced off their land and emigrated to Rome. By the first century Rome was a metropolis with one million inhabitants! For a time, Caesar prohibited Roman wine to pass the borders into Germany. But, Roman vines did spread along the Rhine and Moselle rivers. 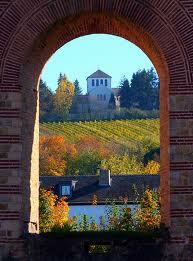 Trier, on the slopes above the Moselle, began growing grapes as early as the second century. Today these predominately white grapes are a vast supplier of some of the best white wine from Germany. 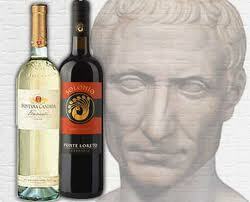 Pliny, Roman writer and historian, noted that wine-producing had spread like wildfire, covering much of Gaul by 71 AD. By this time, the Romans had developed over 50 distinct varieties of grapes. 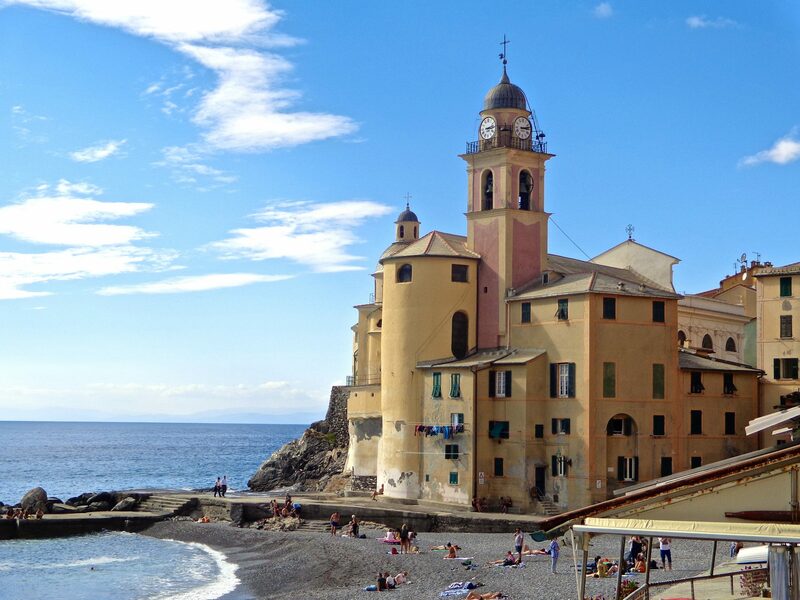 The best wines came from Campania, north of Naples on the plain between the sea and the mountains. Wine was available to all societal levels, like a sacred right. There was, of course, no tea, chocolate or coffee, no soft drinks or spirits. And beer, though it did exist, was considered a barbarians drink. Imagine that! 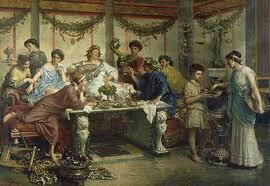 As we all know, wine was a huge part of the Roman’s daily life. So, how did they stay sober? 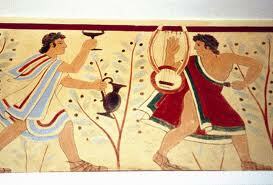 Romans never drank wine ‘neat’, but diluted it with water, usually one part wine and two parts water. They sometimes used seawater or sweetened with honey. The Greeks diluted their wine even more. The intention was to enjoy the aesthetic pleasure of the wine while at their symposium by becoming intoxicated just enough to enjoy spontaneity and converse freely. The Roman counterpart, called the convivium, was not as tame. In each society it was considered disgraceful to become intoxicated in public and was not the norm. How did all of this culminate into the wine we drink today, almost 2,000 years later? In my next post I will share popular wines we drink today that are the very descendent of these Roman vineyards. You won’t want to miss it so…stay tuned!